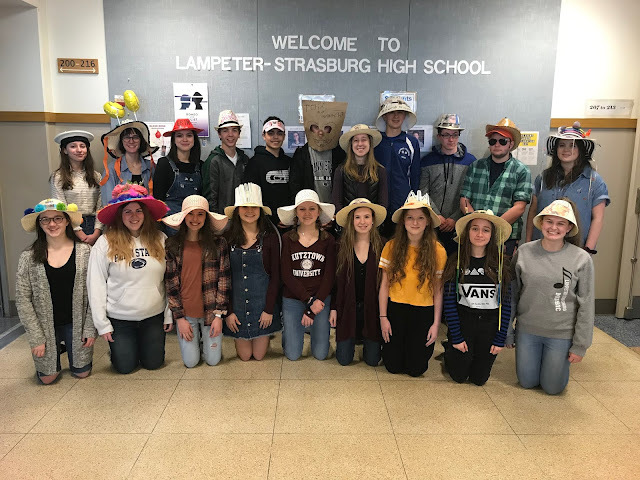 Last night the Lampeter-Strasburg Field Hockey earned a ticket to states when Laura Horner scored off a corner as time expired beating New Oxford, 3-2. The Pioneers needed a win at Wednesday's contest played at Lower Dauphin Middle after losing 3-0 to last year's state champion Twin Valley on Saturday. In the game L-S was able to take the lead, 1-0 in the first half with 9:21 left on the clock. New Oxford was able to tie the game before halftime. Both teams put another point on the board with the Pioneers scoring first. It was Horner, who has had 13 goals and six assists before last night's game that gave the Pioneers the victory in the final moments of overtime. Here's video of the game winning score. The Pioneers (13-7) will now face the Gettysburg Warriors (17-3-1) in the District 3 Class 2-A fifth-place game at 3 pm on Saturday at Lower Dauphin Middle School.